Graeme Drendel is a Melbourne-based painter and printmaker whose skilfully executed works appear to be driven by narratives - though it is not necessarily clear what these narratives may be. In his new exhibition 'Confessions' which is now open at Tweed Regional Gallery, Drendel's figures are placed within a vast, isolating landscape. "There is something about any object or figure isolated within an immense landscape, that leaves one with a slight sense of unease," Drendel said. The exhibition includes smaller works on paper and large canvases that span the past four years of the artist's work. In the lead up to the exhibition, Drendel set himself the task to paint a work every week, veering from figurative work one day, to still life subjects and/or portraiture the next. He sees the smaller works as 'short stories', or vignettes that often inform the larger canvases. "My regime in the studio is just to paint, and rarely do I think in terms of an overall theme for a body of work. However, the work produced over a period of time seems to somehow have a sense of connectedness in spite of there having been no great need for this to be the case. 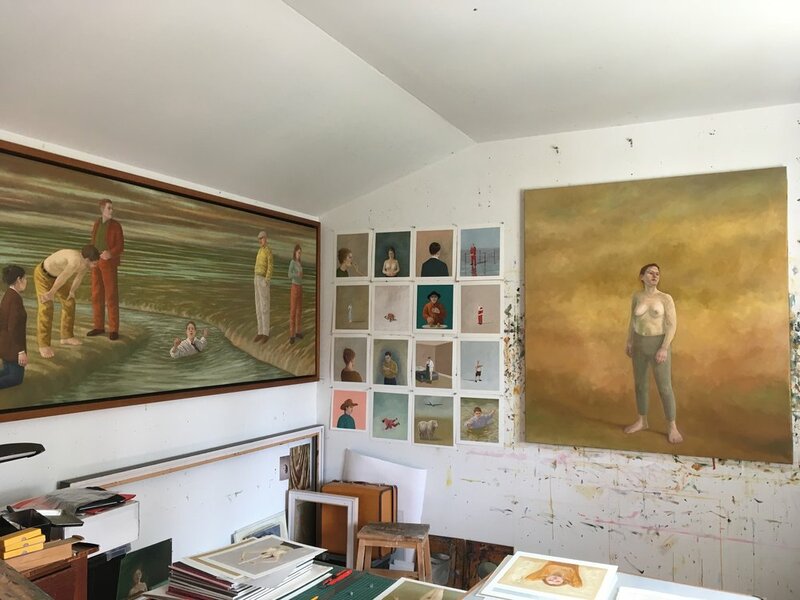 It does stand to reason that as the canvases accumulate in the studio that they do in themselves influence one another and this of course does encourage a sense of dialogue from one painting to another." Graeme Drendel completed a Diploma of Teaching Art and Craft from Melbourne State College in 1974. He is regularly selected as a finalist in significant prizes throughout Australia, and in 2018 his work was shortlisted for the Archibald Prize and the Paul Guest Prize. With over 30 solo exhibitions to his name, his work can be found in the collections of the National Gallery of Australia, Artbank, Australian Print Workshop and numerous regional galleries. All are invited to attend the opening celebrations of Confessions with artist Graeme Drendel on Friday 12 October at 6pm. There's also an exciting public program to complement this exhibition scheduled for later in the show. On Friday 30 November, come along to an In-Conversation event at 5.30pm hosted by the Friends of the Gallery. Enjoy an informative and 'bound-to-be-amusing' conversation between the artist and Dr. Sarah Engledow, Senior Curator and Historian at the National Portrait Gallery. Book through trybooking.com/XUWF or check the Gallery's website at https://artgallery.tweed.nsw.gov.au for further details.